At Sorci Construction Services, we're your local source for interior painting services of all types -- including kitchens, bathrooms, living rooms, commercial buildings, and more. Our experts have the training, experience, and products you need to create a more beautiful interior in your home! Professional Reputation: A company is best represented by its former clients. Ask to see our references, or schedule a drive-by of a job we completed several years ago with us. Sorci Construction Services also has positive reviews on online ratings sites that are available for you to research. Experience & Training: Sorci Construction Services has experienced tradesmen on hand that are licensed, bonded, and insured. We would never leave your project in the hands of anyone who isn't 100% qualified for the task ahead. When it comes to painting in Bakersfield, we're the experts for you! Our specialists take pride in our knowledge of the industry, our professionalism, and our unbeatable results! 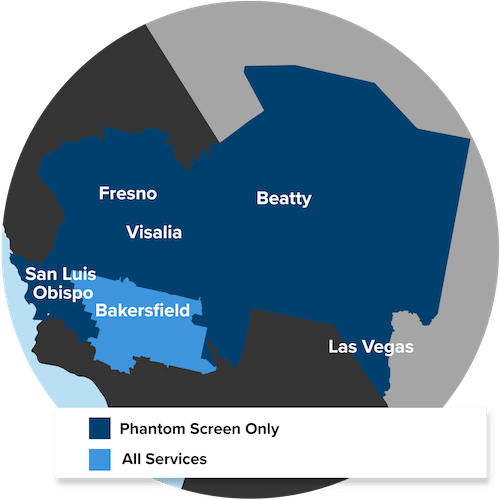 We proudly serve throughout Bakersfield.